Edmonton doesn’t immediately register as a destination when one thinks of cities to travel to in Canada, but with a bit of research, it soon becomes apparent that this city hosts a great number of interesting festivals annually. If this aspect of a destination interests you, make your plans you that your visit coincides with one of the following festivals in Edmonton. Of all the festivals this city has to offer, the Edmonton International Fringe Festival is easily its most prestigious. The largest alternative theater festival of its kind in North America and the second largest in the world, those wanting to be entertained in a variety of weird ways will find countless stage shows, busker performances, and street artists to do just that for them. Between shows, try some of the best street food and food trucks in Edmonton, have a few drinks at the beer tent, and soak up the street scene at one of the most anticipated public events on Edmonton’s festival calendar. Over the course of Alberta’s development, this province has welcomed people from all over the world who wanted a piece of its prosperity in return for helping to build it up for where it is today. As a result, Edmonton is home to a mosaic of cultures and nationalities that are only rivaled by Canada’s biggest cities. 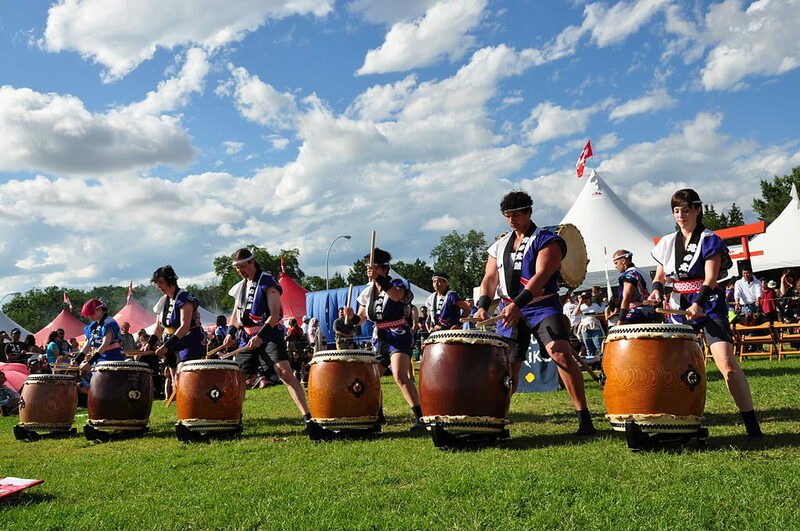 Put together to celebrate the diversity of this city, the Edmonton Heritage Festival is home to more than 80 tents, each of which highlights the traditions, handicrafts, and food of a specific nation or cultural group. Held during a bank holiday weekend at the end of July/start of August, the vibe here is festive – if you have a chance to attend, don’t miss it. Unfortunately, summer is the wettest time of the year in Edmonton, meaning that one of the days might get rained out. If this happens to you, occupy yourself with some online games that can end up paying you. If you want to try out some of the hottest online roulette, blackjack, and casino action, click here and find out more. Unfairly viewed by many as Calgary Stampede lite by some locals, K-Days is a 10-day long midway and exhibition that offers rodeo events, concerts, exciting rides, and more. The comparative lack of buzz surrounding it compared to the Calgary Stampede makes it a better event for the visitor, as you won’t have to wrestle with fellow tourists to get a hotel room to attend. With an indoor shopping arcade, casino games, night fireworks, and plenty of mini-donut vendors, you’ll get a feel for what it’s like to be in Edmonton in the summer time during K-Days. While Edmonton comes alive during the summer, cold weather dominates much of the rest of the year. To solidify its claim on being Canada’s festival city, a push began to develop and grow winter festivals about a decade ago. There are several events to attend during these months, including the Deep Freeze Festival, which pays homage to Edmonton’s Ukrainian Heritage, Ice on Whyte, which features amazing ice sculptures, and Canadian Birkebeiner Ski Festival, which attracts over 2,000 Nordic athletes from around the world.